When you delete a file in Windows, Ubuntu, or any other operating system, what it actually does is delete the pointer(s) within the disk index indicating where on the hard disk the file is stored. The file, and therefore the data contained therein is still sitting there. Which is how certain file recovery tools are able to un-delete things. At least, until they are overwritten with something else. If you overwrite the data, then it is generally unrecoverable. 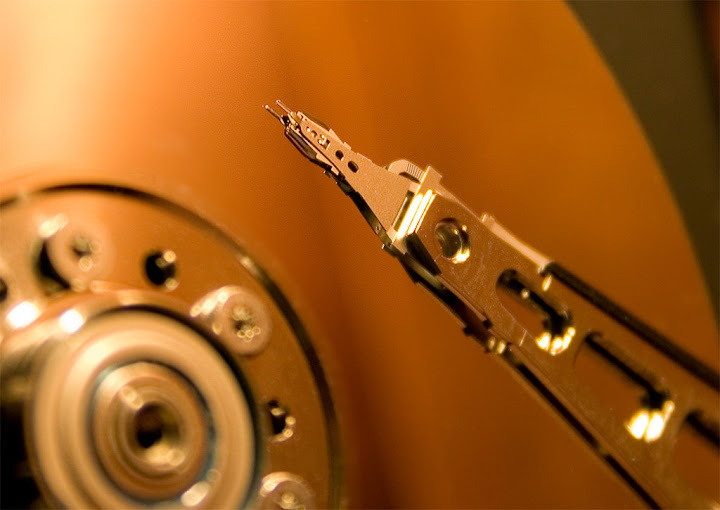 Modern hard drives have higher densities and less redundancy, which makes recovery more difficult. Which is probably enough for most people discarding old hard drives. However, the data paranoid, who don't want their bank details and passwords to end up in one of those 'technical colleges' in Lagos, may need a little more assurance that their data is wiped securely. In the past there was redundancy on old, low capacity disks that allowed recovery if you had the right equipment and software. A whole industry has sprung up around exaggerated claims for data recovery, providing software to securely over-write disks. Don't believe Spooks, 24, Mission Impossible or anything similar from Hollywood. There is no evidence that, on a modern disc, there is ANY way of getting anything back that's been overwritten once. So how to manage that one simple pass? There are utilities around. In typical overkill fashion, Apple's Disk Utility is capable of 1, 7 or 35 overwrites. 7-times overwrite is supposedly what the US Dept of Defence use and 35 appears to be for the tin-foil hat brigade. On Linux (under the GNU license) the Shred utility is a standard data wipe tool. You can use it natively on a Linux machine, but booting from a Linux Live CD means you can wipe data from Windows machines as well. This will list the hard drives available. Identify the right hard drive to wipe - narrow it down by file system and size - file system is found in the System column of the list, where Windows hard drives are usually formatted as NTFS (which shows up as HPFS/NTFS). Make a note of the label found under the the Device column heading. If you have multiple partitions on this hard drive, then there will be more than one device in this list. /dev/hda is the whole hard disk to wipe. Shred will even protect from forensic magnetic analysis of the disk. Note that the creditcard.txt file still exists. Shredded, as a quick look at the contents of creditcard.txt will show that the file has been securely overwritten. To whit: "shred relies on a very important assumption: that the file system overwrites data in place. This is the traditional way to do things, but many modern file system designs do not satisfy this assumption." If it's possible to reconstruct the contents of a file from the journal, or from the redundant copies in a RAID array, then clearly you want to wipe the entire disk to be safe, and probably the entire array. This is the point of no return and the hard drive will be completely wiped. Don't think you can interrupt the process as this will just leave an unholy mess of the disk. The ideas and points you have posted are fantastic and of benefit. An individually the demo version is wonderful and useful.Do you know how to recovery lost files in computer if you know about this recovery then published please.Thank you!